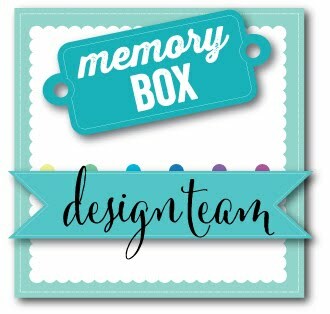 Typepad won't let me post today to Outside the Box, the Memory Box blog. So I'm posting here! 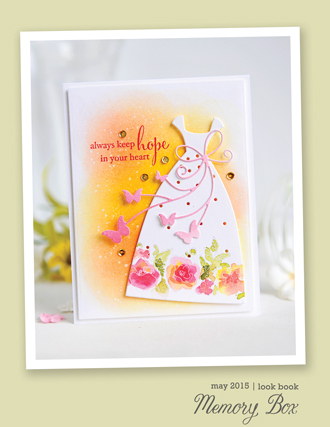 Here's a quick and easy card that uses a variety of the Memory Box Patterned Papers--Dots, Distressed Dots, and Moroccan-- in one color. 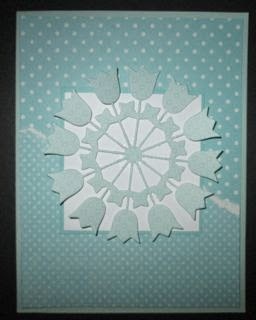 For this project I used a Memory Box Pool notecard, Pool cardstock, a scrap of white cardstock, and three different Patterned Papers also in Pool. There is room on the front to add an appropriate sentiment, but I might stamp one inside instead. With fifteen (15!) different colors and four (4!) 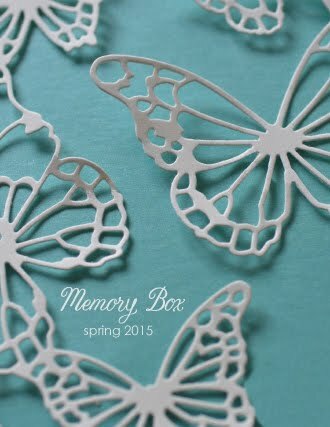 different patterns for each Memory Box Patterned Paper, think how pretty this would be using any of them! 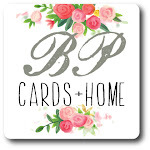 Instead of sticking to one color, you could even mix them up on one card, perhaps using Bluebird and Key Lime for the background with Currant tulips or Snapdragon for the background and Violet tulips. You might even create some seasonal cards--for instance, using Mango backgrounds with Licorice tulips for fall/Halloween.